The Web server could not find the requested page or file. HTTP 404 errors indicate the network connection between client and server was made successfully. This error most commonly occurs when users manually enter an incorrect URL into a browser. Users must change their URL to fix this problem. A 500 Internal Server Error can be caused by many things, invalid permissions, invalid ownership, bad lines in your php.ini or .htaccess file, invalid requests in the script etc. Typically this is not a problem with the server itself, and can be most often resolved by modifying something in users site’s configuration. Please check the Error Logs in cPanel for specific information. 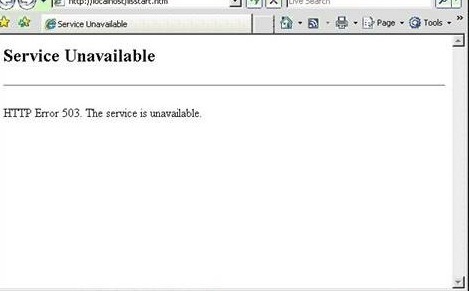 The 503 Service Unavailable error is an HTTP status code that means the web site’s server is simply not available right now. Most of the time this is because the server is too busy or because there’s maintenance being performed on it. You should contact your hosting provider for their assistance. You are most probably trying to access a password protected directory using wrong credentials. In such cases you should check whether you are using the correct login details. The request could not be understood by the server due to malformed syntax. Almost this error is caused by bad programming.The client should not repeat the request without modifications.